I am blessed to be able to raise my children with my partner, my husband. Parenting is hard, so having someone to share the responsibility with is huge. I have utmost respect for those women who do it alone for I cannot imagine raising my daughters on my own. 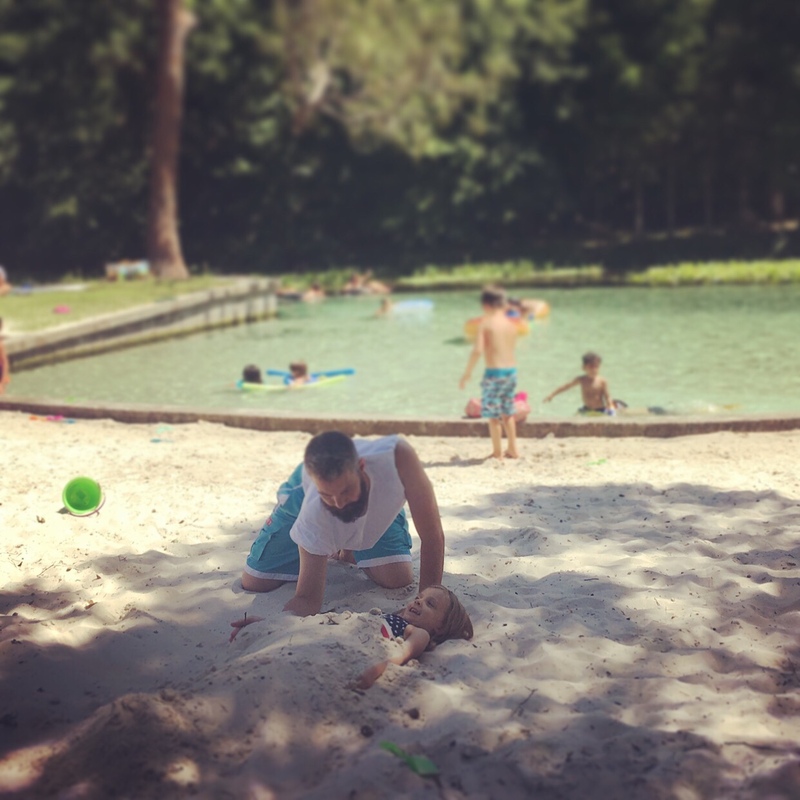 There are so many things that my husband does with our children that I feel he is better suited for than me. For example, it’s easier for him to say no and lay down the law. I guess I’m a pushover for those sweet smiles. But his ability to set much-needed limits isn’t the main reason I’m thankful for his presence. Not even close. For many families, the father may be the main disciplinarian. After all, who can raise their hand in agreement that waiting for Dad to pull into the driveway after doing something dumb was the worst punishment of all as a kid? “Just wait until your father gets home,” was a dreaded phrase many of us heard growing up, and I have to admit I’ve used it on my own girls a time or two. But Father Fear Factor isn’t the main reason I cherish my spouse’s involvement in child rearing. Nope, not it. Traditionally the father had been the breadwinner for the household, bringing home the bacon while mom holds down the home-front. And although I happen to be the one working currently while my hubby homeschools the children, I’ve truly enjoyed being a homemaker in the past while he earned the majority income for us. He’s proven himself an excellent provider, and I’m blessed to have a hardworking husband to take care of me. But his ability to provide financially isn’t the most important thing he brings to the table in our family’s journey. I’ve always enjoyed allowing my husband to lead our family, standing firm as the head of the household, guiding the decisions we make together as a team, and protecting us from harm, be it physical or spiritual in nature. His strong presence, stoic nature, and wisdom in life is an asset to us all. I place much value on his role in our family, but I’ve discovered something even more important that our daughters get to witness each day. My husband is honest, fair, and kind to others. He always has a smile, friendly response, and love truly guides his actions. He works hard, does his fair share around the home, and watches his language around the children. He doesn’t drink alcohol or hang out, partying with his friends. He’s a great example to our daughters every day on how to live life, love people, and serve the Lord. Yes, I’m blessed. But something he did recently really highlighted to me the example he is setting for our girls. It stuck out as something very special. I was laying in bed, about to doze off, since I had to work in the morning, when suddenly I caught snippets of conversation coming from the living room. I strained to hear whispered voices through the closed, bedroom door, and I began to smile at the words spoken by my spouse. He was reading from the Bible, and he explained the verses as they went along. So, Dad, your daughters are watching how you treat their Mom. They will utilize your example as the norm for male behavior. Are you ok with that? If not, something needs to change. Dad, your sons are watching how you love and honor their Mom. The model you display will mold their future behavior in their own marriages. Is that something you can be proud of impacting? If not, something needs to change. Fathers have many responsibilities in their children’s lives, and other than leading them closer to Christ there is none so important as the model of behavior they set forth in marriage. Your actions impact their future actions, and it’s always wise to keep that in mind. So I leave you with a question. What legacy do you pass down to your children for a happy, healthy married life?